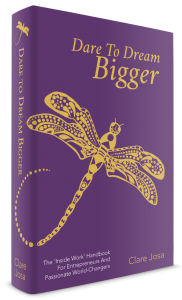 Is your self-talk causing you to subconsciously self sabotage your dreams? It’s something I see so often with my Mentoring Clients, my Mastermind Members, and even with myself. The biggest glass ceilings we come up against are those we carefully create ourselves. 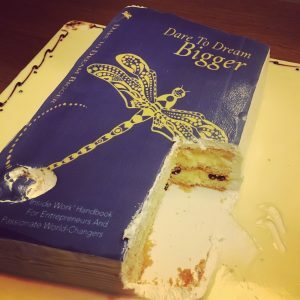 Here’s the ‘Dare To Dream Bigger’ cake – incredible! Make sure you check out the section on the power of ‘I am’, which I mentioned in the podcast today. Were you self-sabotaging? What kinds of thoughts were you thinking? How did you get on with today’s 1-to-3 technique? And what are you going to choose, instead? Know anyone else who might be subconsciously self-sabotaging? Please share this episode far and wide on social media, especially where any fellow passionate world-changers might be hanging out!